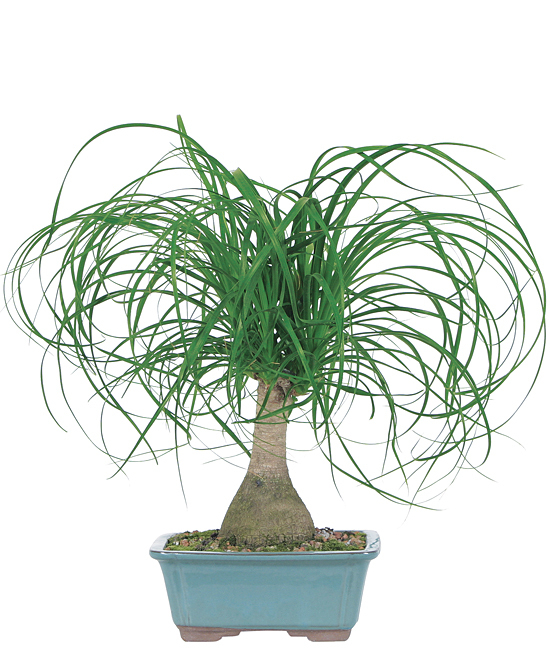 Known for its long, lush leaves that whimsically grow like a ponytail, this hardy bonsai adapts well in almost any environment and is also well-suited indoors. Each tree is a true work of art with its stout trunk and flowing foliage – each unique in shape and size. It arrives with complete care instructions for years of future enjoyment. Place in an indoor location that is well lit, preferably with four hours of bright indirect or filtered sunlight. Keep the soil evenly moist but never allow it to become soggy. Mist your Ponytail Bonsai leaves frequently to raise the humidity around your bonsai. To prune, cut the ends of the ponytail foliage to produce a fuller plant.